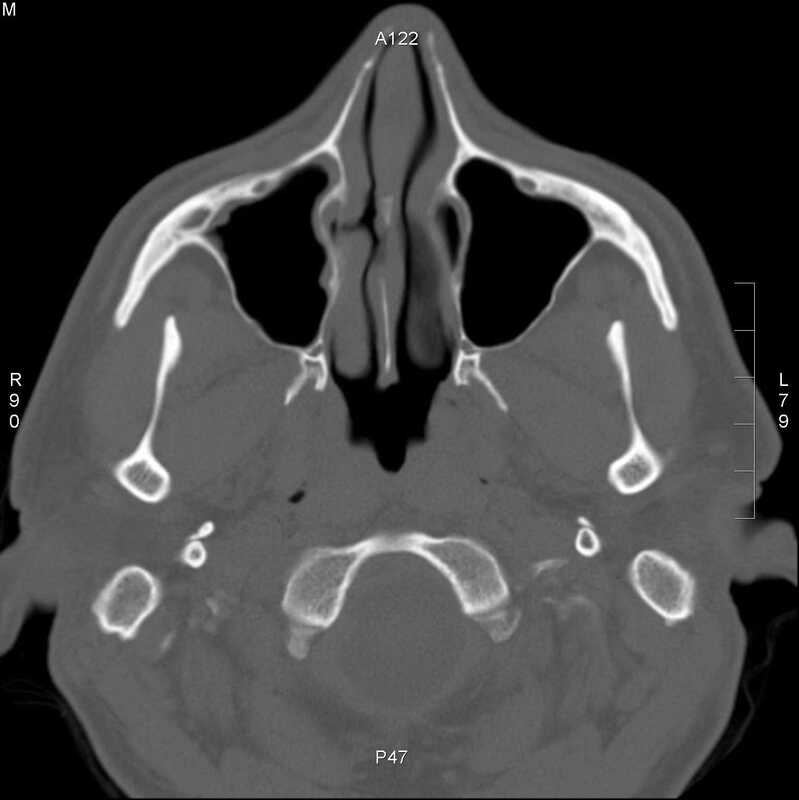 This pathway provides guidance on the imaging of patients with chronic sinusitis. 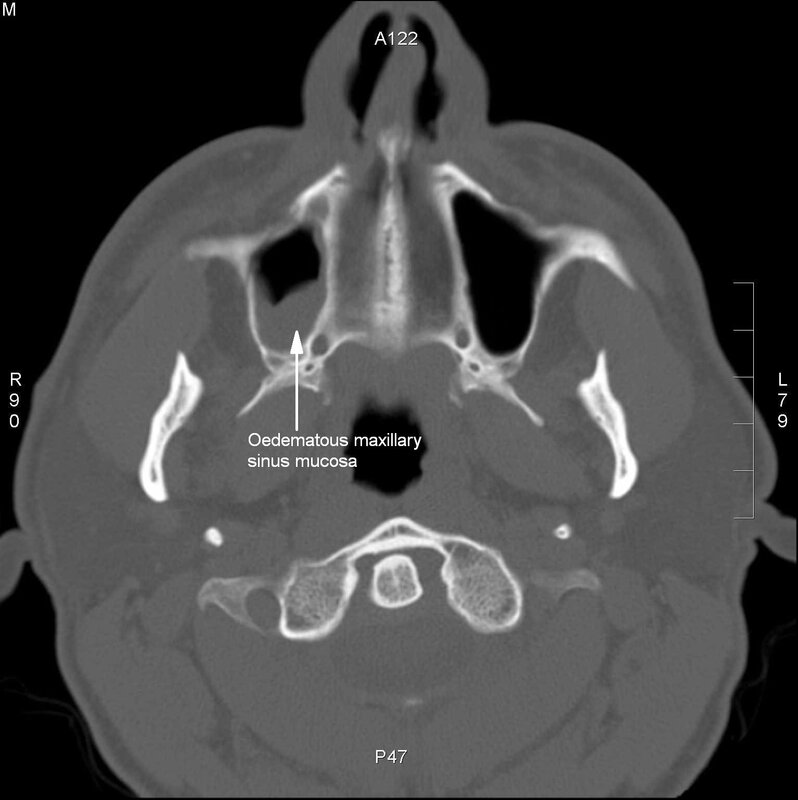 Image 1a, b and c (Computed Tomography): There is mucosal thickening of the right maxillary sinus with no bony obstruction or soft tissue changes. Associated with this is mucosal thickening of the right ostiomeatal complex. 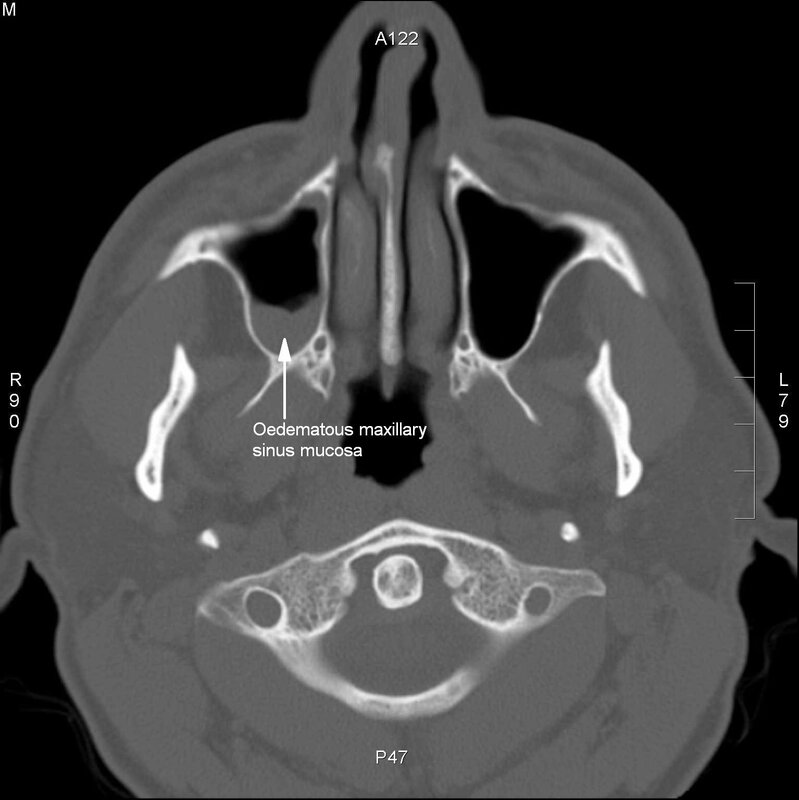 The left maxillary antrum and ostiomeatal complex are unremarkable.